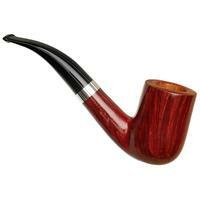 More often than not, Savinelli's Autograph pieces are left free of adorning accents, focusing instead on unique shaping and sublime finishing. 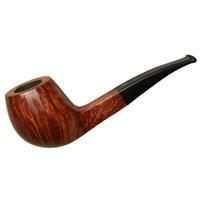 This offering, though, is a bit different and extra-special. 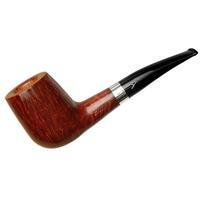 It comes from new old-stock from the late '90s and early '00s which Savinelli has now decided to offer in these exquisite Autograph pieces. 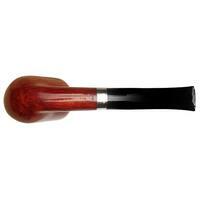 They boast the same quality briar and handcrafted shaping but accented with sterling silver and stained and vivid red-apple hue. 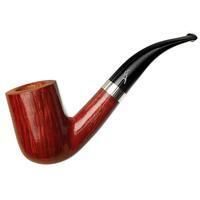 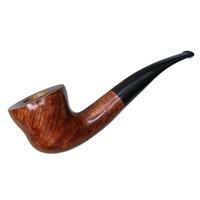 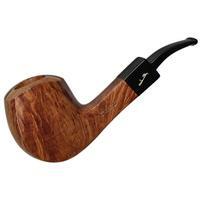 This one's been fashioned into a tall, cylindrical bent Billiard, looking decidedly English in shaping but very much Italian in its bold, deep chambered proportions. 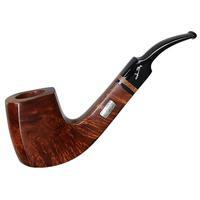 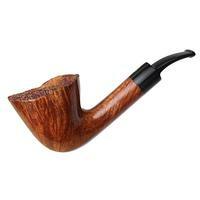 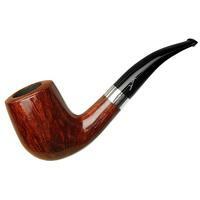 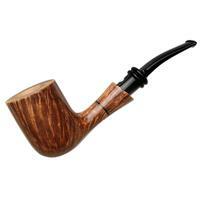 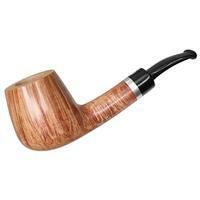 The shape suits the grain orientation excellently, as vertical strands of flame grain wrap the bowl. 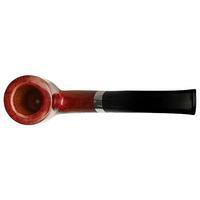 Bowl Height: 2.22 in./56.39 mm.